I hate it when allergies or the cold and flu season come around. It’s like a bad cycle that never ends. Someone gets sick. We go to the doctor. We go to the pharmacy. And then someone else gets sick. I am so tired of paying high prices for things that have who-knows-what in them. 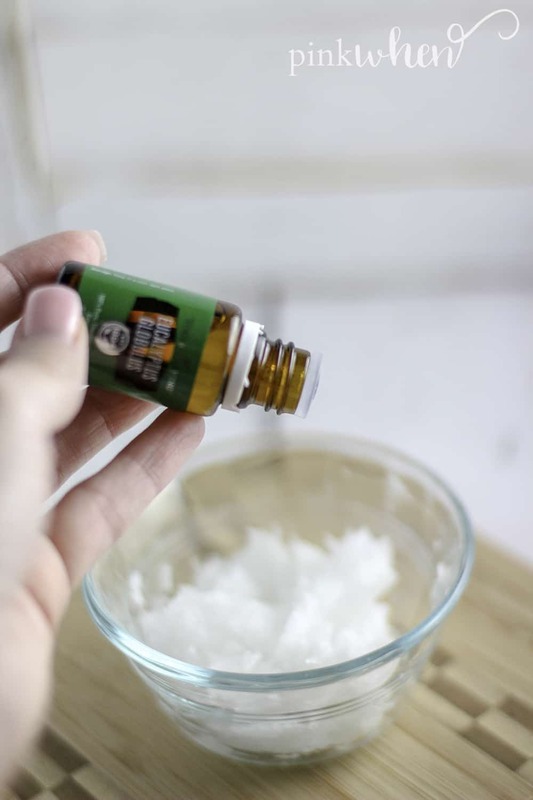 I love making a lot of my own homemade recipes, and today I am sharing with you this easy 3 ingredient homemade vicks rub recipe. 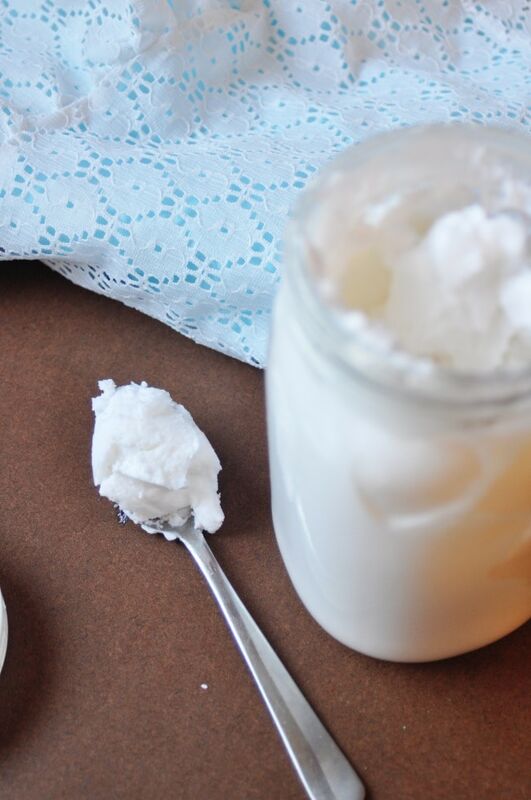 Personally, I love to make homemade recipes for simple household products. I get to control what’s in them so nothing gross is going in our body, and usually – they are way more effective, too. You’ll want to scroll down for the full recipe, but this homemade vick’s recipe is as easy as mixing together the ingredients in a bowl and rubbing it on where you need it! 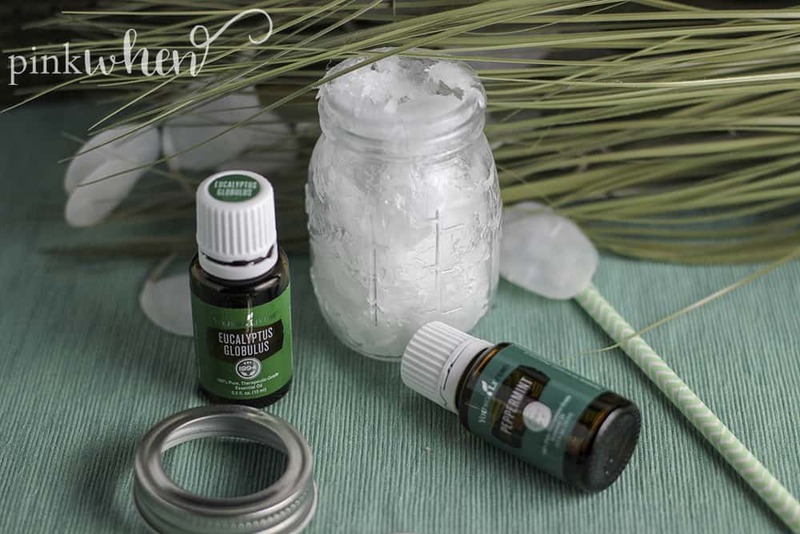 This recipe is sure to kick any sickness during the next winter cold season! What I love most about this recipe, is it’s such an easy homemade vick’s rub! With only 3 ingredients, it couldn’t be easier! It only takes a few minutes to make, a few minutes to apply, and you’ll kick whatever winter throws at you. 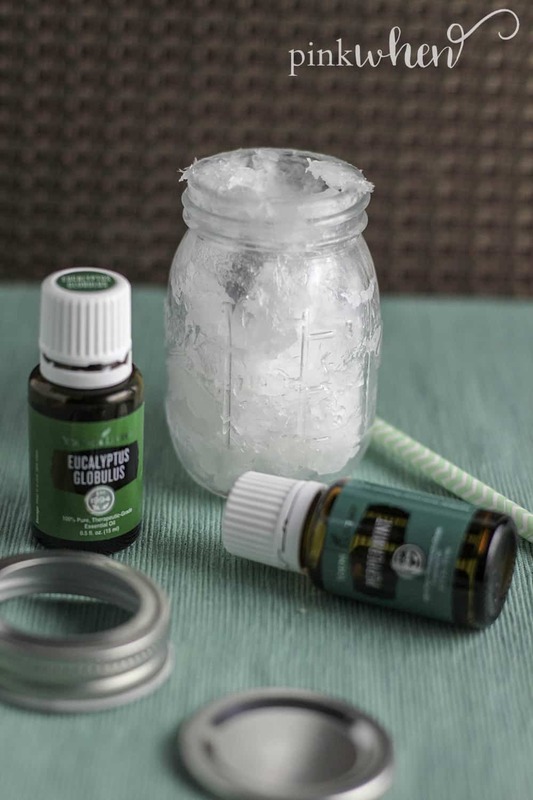 One thing to keep in mind is since this recipe uses eucalyptus essential oil, it is not safe or recommended for children under 6 years old. So be careful about who you are using this 3-ingredient homemade vick’s rub recipe! I know you are just dying to get to the full recipe for this homemaede vick’s rub, so I won’t keep you waiting. Just scroll down below and get the recipe below! I hope your homemade vick’s rub helps your family! Let me know how it turned out and how it’s helped you! Leave a comment below and let me know if you made this! We love your feedback, as it helps us decide what to create next. If you want to see more projects like this, make sure to RATE this recipe! 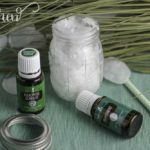 Easy homemade Vicks Rub recipe for cold and flu season. 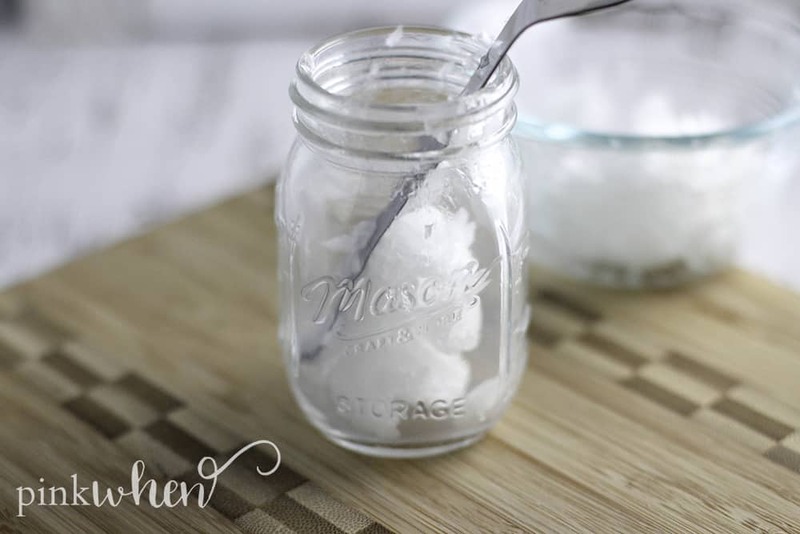 Scoop your coconut oil into a small mixing bowl. 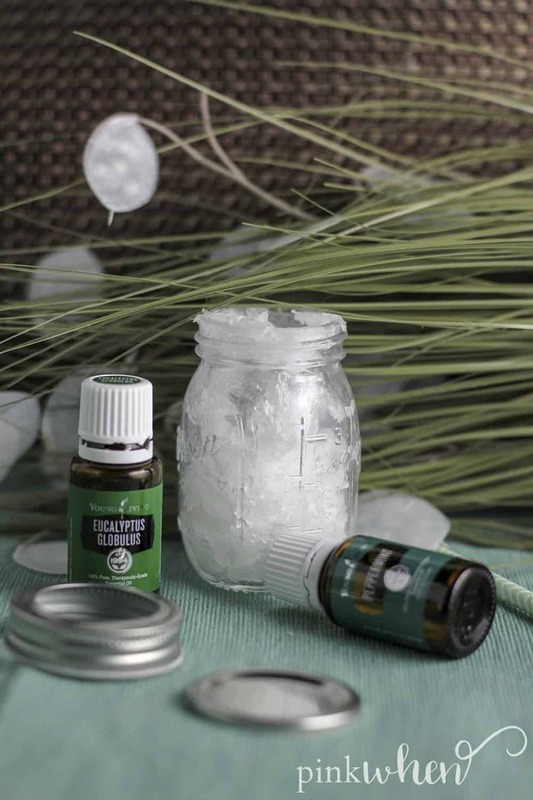 Add eucalyptus and peppermint oil into the bowl and mix well. Scoop the mixture into an airtight container for easy storage. Stor in a cool and dry space, away from direct heat or sunlight. Apply to chest and feet as needed. 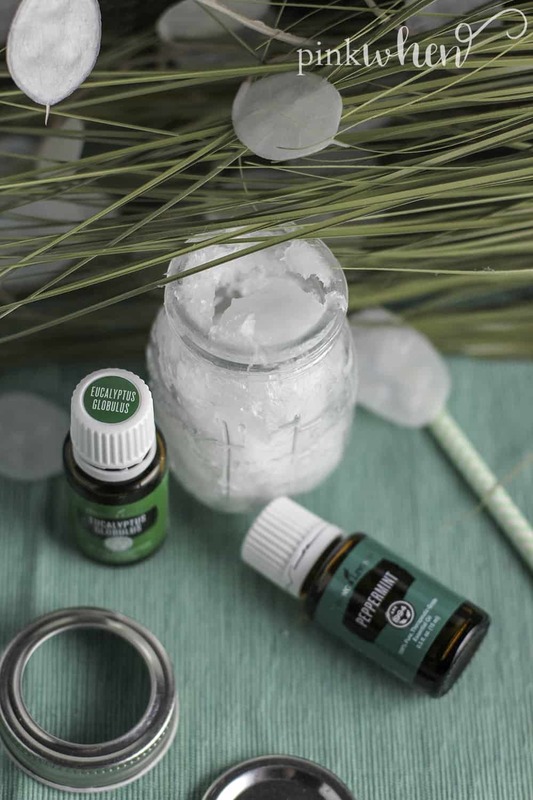 If you’re looking for more essential oils projects, you’ll love this homemade laundry detergent! 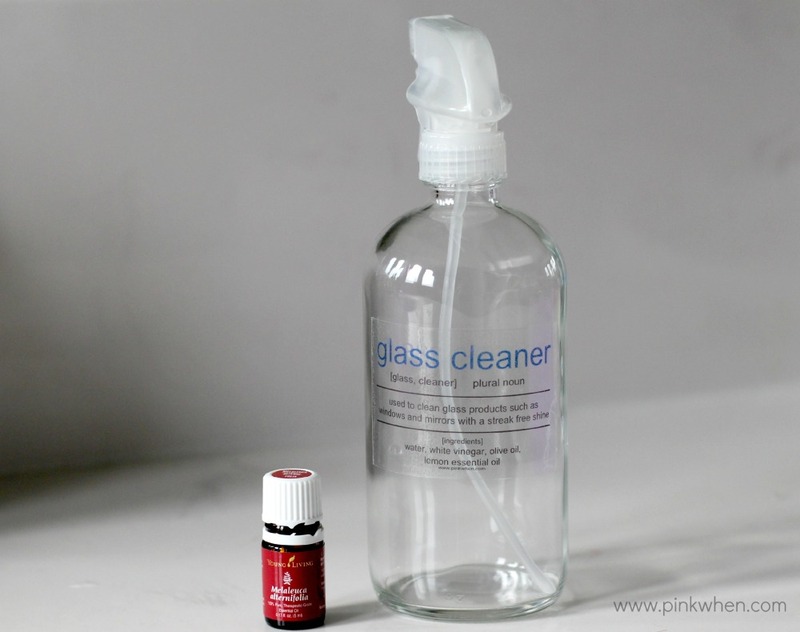 Or even this DIY all natural glass cleaner.